Elections are a time when advocates take the stage to promote public and political education on the policy we work on all year round. It can be difficult to cut through competing interests and raise the profile of comprehensive issues that take more than a sound bite or a debate to describe and understand. 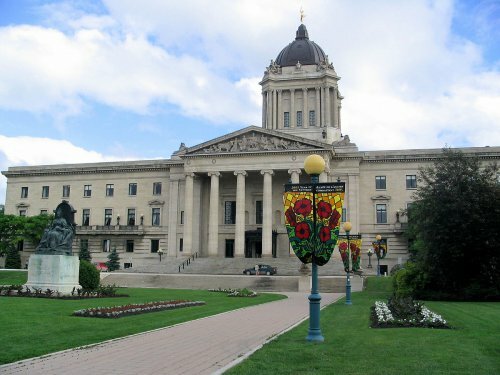 CCEDNet Manitoba has released its election toolkit for the upcoming April 19, 2016 provincial election. The toolkit includes an election web page with policy questions for candidates, member election events and voting information. When we receive responses from the parties on our questions, we’ll post them here. The policy document highlights our members’ interconnected priority areas. These were identified during a Member Meeting last spring, and refined over the past year through multiple member conversations. These are not a comprehensive list of our full policy mandate, but get at key elements and focus areas within our priorities. The individual policies (listed below) are reliant on each other, and must be integrated in a comprehensive way in order to accomplish community goals. For example, providing a safe and affordable home in a supportive community can create stability for someone with barriers to employment to find work in a social enterprise focused on food security and find a way out of poverty. Our work relies heavily on and succeeds because of our extensive member network and culture of collaboration. We invite our members to ask questions, get involved and make sure political candidates represent your community views and are held accountable for their actions all year long. For more information go to our web page.